The proliferation of automotive themed car entertainment has spawned all sorts of horrible Pimp-My-Ride style TV shows and we have envisioned a show that combines the practical joking elements of Punked with the car-modification skills of a show like Counting Cars. Xzibit Kutcher would appear at the end of each episode of Punk My Ride and reveal the downgraded car to the owner's shock and horror...it would be the best show to watch, the worst to be on. Today's riddler would certainly be a common swap on the show; it is a 1990 Mazda Miata with a 3-cylinder Suzuki engine from a Geo Metro planted in the front, currently selling for $1500 in Jackson, MI via craigslist. 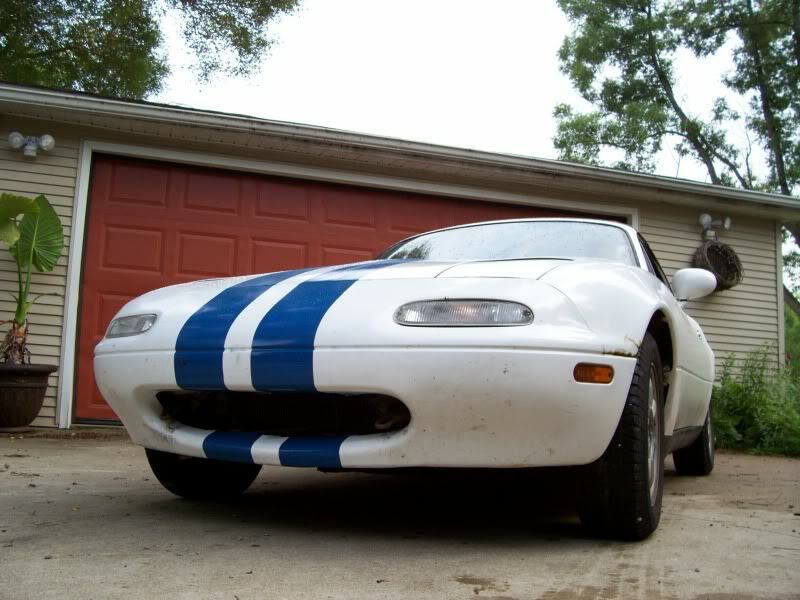 This MX-5 isn't in good condition at all - it has rusty fenders and under-body, its been hacked apart by a madman and sports a homemade set of Shelby looking stripes. Despite all of this we sort of want to take it for a spin...morbid curiosity perhaps. 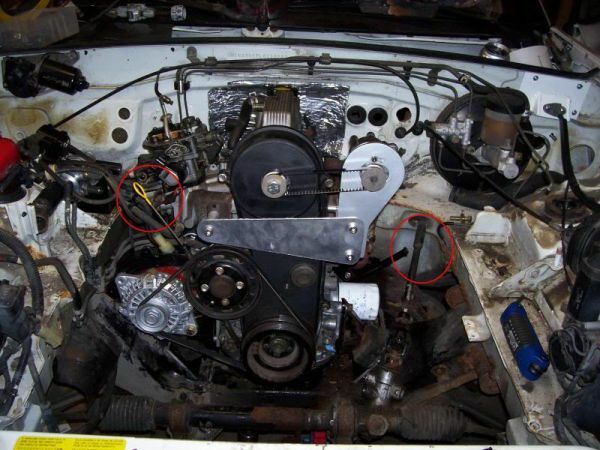 This MX-5 has had is simple and reliable 1.6 liter 4-cylinder engine torn out and replaced with a 3 cylinder 1.1 liter engine from a Geo Metro. Apparently the seller had dreams of creating some 100 mpg fuel sipping custom, but was disappointed by only achieving 50 mpg. The entire build thread of this self-described 'worthless, but with excellent tires' Miata is detailed here on the miata.net forums. 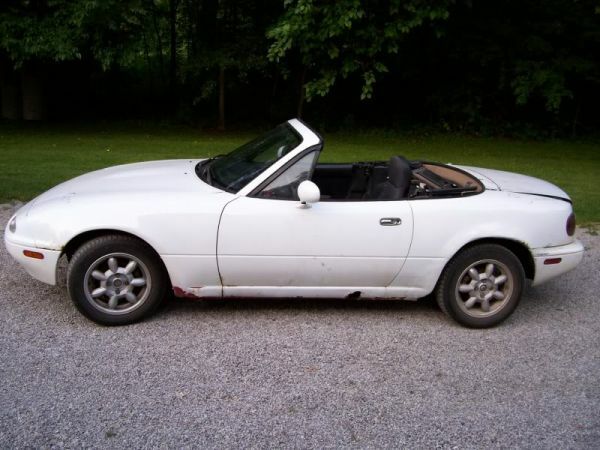 It is a good thing that the seller picked about the cheapest and ugliest MX-5 he could find to 'punk' because it is no loss to world. We have to acknowledge his ingenuity and dedication to a task that took him years to accomplish and required a several critical custom fabricated components, all the while being constantly ridiculed by nay-sayers on the internet. Bud should make a 'real men of genius' advertisement about this guy.